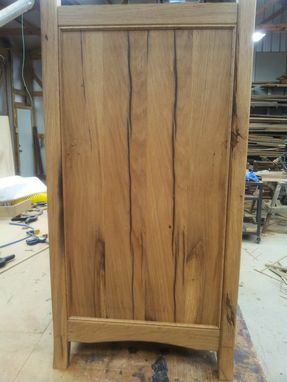 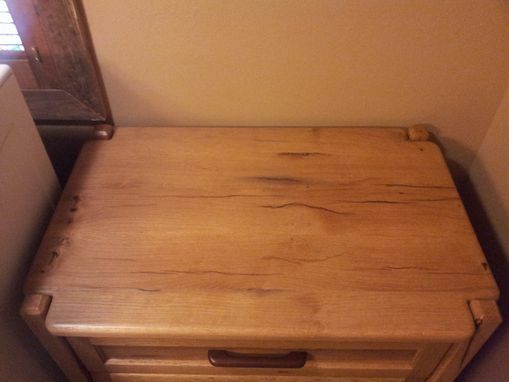 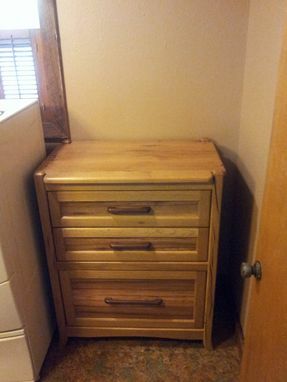 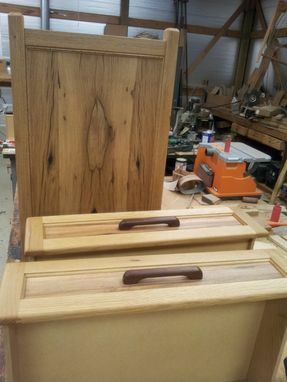 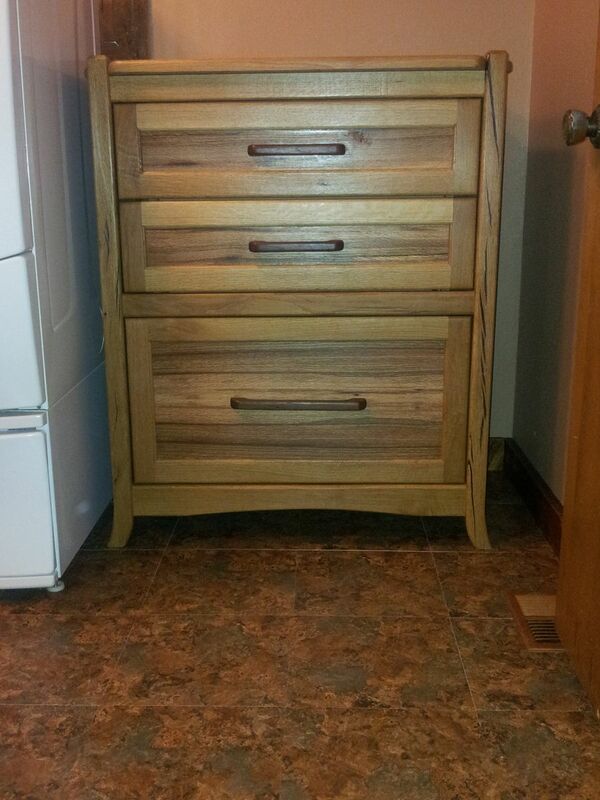 Medium size chest of drawers for storage. 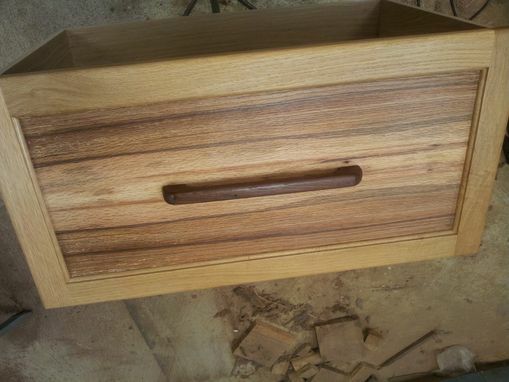 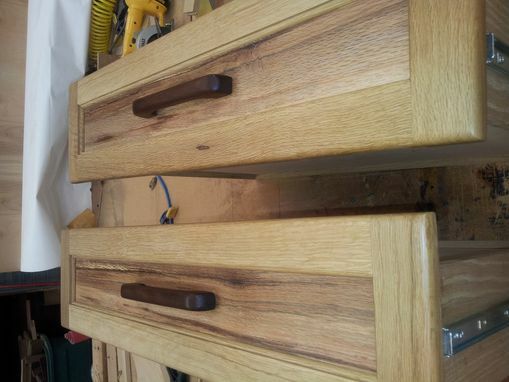 Made of quarter sawn white oak with handmade walnut handles. 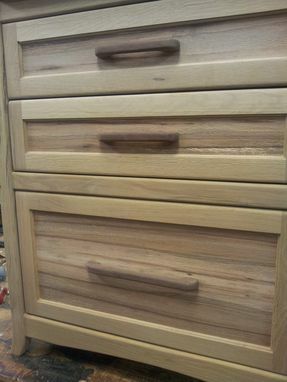 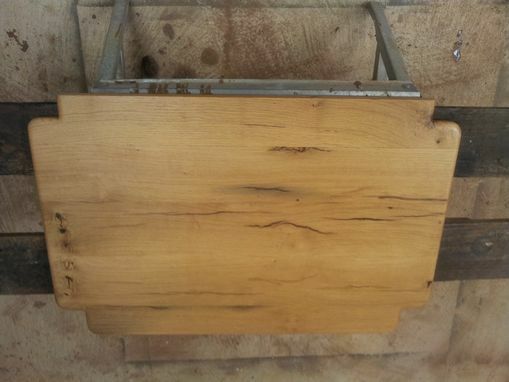 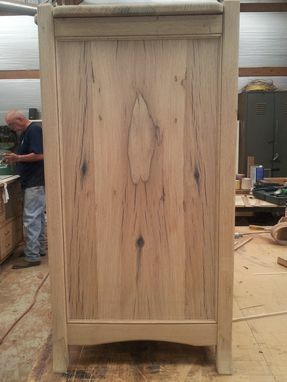 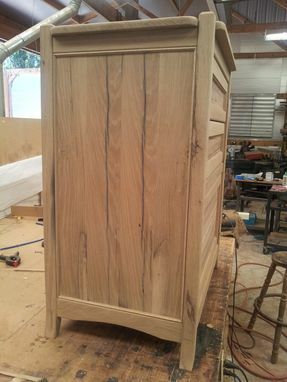 Finish is polymerized tung oil. 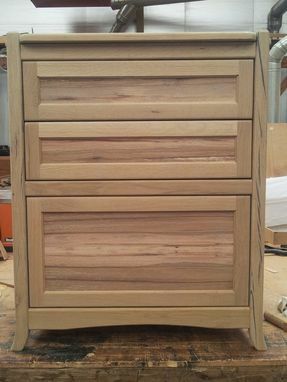 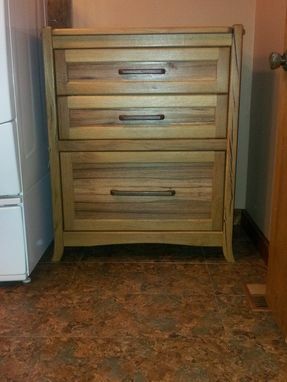 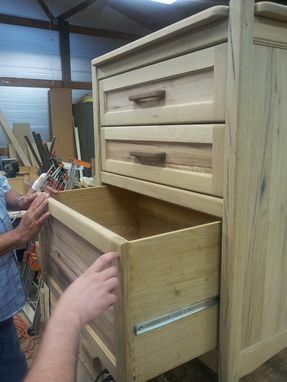 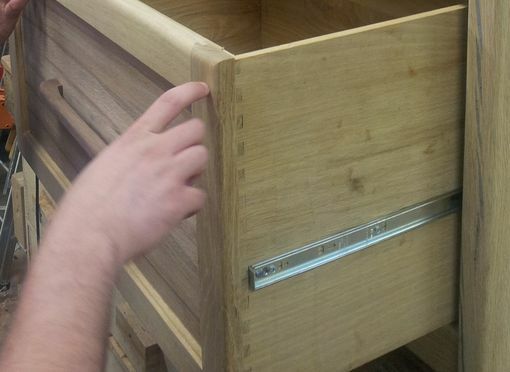 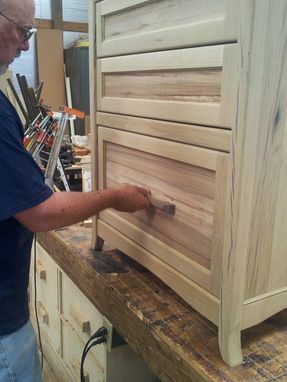 Drawers are soft closing.